The Studio used to be the work space for a resident potter. It was recently remodeled and partitioned. 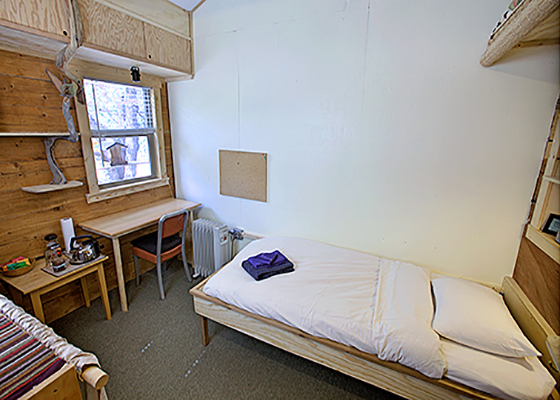 The quaint Corner Room is tucked into a log extension of the Studio. A former resident and woodworker built custom furnishings for this space. 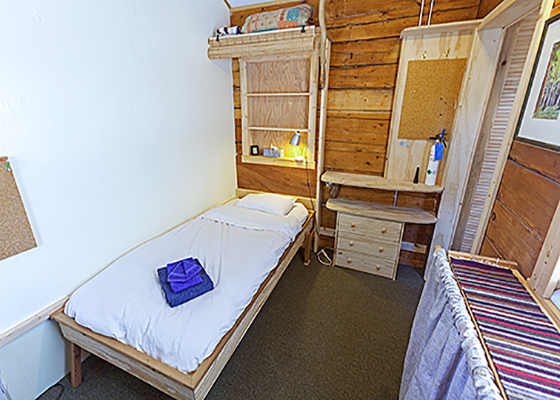 The room is furnished with a twin bed, desk, closet and area to make tea. There are shared bathrooms 100 yards away in the Guest House.